I have seen the ad and PM ed him...but thanks for the heads up! The only thing that I (now) use my router table for is template routing. Everything else is done on the 'Rat. Note that The Craftsman Gallery was the major Woodrat distributor in the U.S. They have decided to make their own machine (which is basically a Woodrat with a lot of nicely made jigs and measuring devices). So, the budget option would be the Woodrat + DIY jigs and the high-end option would be the Router Boss. I have had my Rat since 1999 and used it almost exclsively until i ran head on into Festo and the OF 1000. At first, it was quite a hassle to come to terms with the fact that there was a certain amount of thinking involved in setup and use. Once i came to terms with that side of usage, it became a fun tool to use for so many different jointing operations. any jigs needed are very simple to build with scrap wood right in your shop. Of course, i have built up quite a pile of them, but they are all used over and over. The one tool one does need besides the cutters and jigs is a VERY SHARP pencil. All cuts start with either direct vision to the cutter into the wood or by various placement of fine pencil marking right on the Rat. The major drawback that i find nearly impossible to eliminate is very poor dust collection for many cuts. The dust collection is ok if you are cutting with the bit on the dust port side of wood. For mortices, dados, or any type of cut where the bit is thru center of wood or on side nearest to operator (away from dust port), keep a shovel on hand. The only tool in my shop that come close to competing at tossing dust and chips is my Hitachi SCMS, and that is not even close. The new Router Boss from Chips Fly looks like it might be a little better at dust collection. i did send an E-mail to them asking about that, but never got a reply. I have never sent a question to WoodRat across the pond but what i got a very quick reply, even if they only advised that i look at their various downloadables on site. Over all, I have put my OF 1000 and OF 1400 to the most use since last couple of years, but still go back to the Rat for most difficult problems. I have had a 'rat for bit now. I have found it absolute outstanding for finger joints (you can even vary them a little), tenons and through dovetails. I prefer to make mortises with a hollow chisel mortiser. I have not yet tried the socket side of half-blind dovetails, but have used it for the tails. I haven't yet tried it for sliding dovetails, but it looks good. I far prefer my router table for grooves and edge routing. Thank you for all of your comments guys, as I already own 3 Routers (one in a table) , domino, FMT and a dowelmax I think I can do without a rat and just get a DR4. 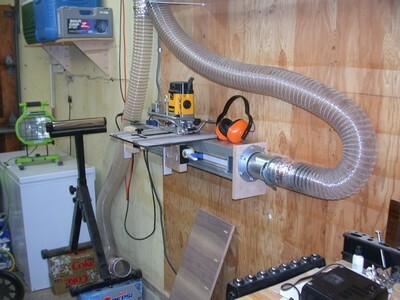 I see the new Leigh DR4 Dovetail jig has dust collection. I am partial to the Akeda, does anyone have experience on both to make some comparisons. Maybe I should start a new thread? I would not advise going out to get a Rat or Router Boss just because you can do so many operations with no limitations on bit type, size or shape. I have found that almost anything i can do with my Rat (so far) I can duplicate with my Festool routers and various guiding methods after care ful setting up for proceedure. The single biggest agrevation is always going to be the dust problem with the Rat. With the exceptional DC of Festool, i find myself using Rat less and less. It does take more time for setup with my festool guides & routers, but i am hoping that will change with experience. I have tried many different jigs and ideas to eliminate dust from the Rat and so far I find it eons away from Festool in the DC category. In a sho as crowded as mine, that is a BIG negative. if you are not willing to deal with that, you do not need a Rat or its copycat (mostly), the Router Boss. If you want versatility with a certain amount of thinking and learning curve to do a whole lot of different joining operations from a single location, using a minimum of cutters (maximum shapes and sizes are possible), then a Rat or RB might be a good, or even great acquisition to your list of toys. ...you do not need a Rat or its copycat (mostly), the Router Boss. I have tried many different jigs and ideas to eliminate dust from the Rat and so far I find it eons away from Festool in the DC category. It is probably worth noting that the sort of wood you intend to route on the rat does make a difference. I have found with solid wood the dust is more like chips (they typically look like little match sticks). They do tend to hit you in the chest on one side of the board (my rat is mounted high) and get sucked in nicely on the other side. In my set-up, with solid wood, there has been very close to zero air-born dust; there is clean up afterwords, but it isn't onerous. Working with manufactured materials will almost certainly create significantly more dust problems in this case. In any case, I would be hard pressed to find something (that is small-shop-sized) more efficient for making very high quality tenons. (the FMT is probably the only one which is similar), and the dovetails are not as efficient as a Leigh jig, but offer extremely good aesthetics close to being on par with hand cut ones. There is a fairly significant set-up effort and learning curve. The FMT is great if you need to run multiple M&T joints (i.e. a little longer setup time then the Rat but higher throughput once set). The DR4 (or any other dedicated dovetail jig) is definitely faster for dovetails. The domino can put a tenon where only a hand-cut M&T was previously possible (E.G. the center of a 5'x5' sheet). A floorstanding mortiser will cut mortices faster than the Rat. However, the Rat can replace all of these tools and do a pretty good job at each task. pmkierst, for dust collection I have one end of the tool connected to a 4" DC drop. On the front of the tool I have another 4" DC drop that is positionable (usually attached to the underside of the main router plate with the opening angled toward the cutter). Both drops are pulling from the right side of the tool. This setup captures almost 100% of the dust. By having the lower DC drop off to the right I still have excellent bit visibility. Can you please post pictures of your Woodrat dust collection setup. I have a 'rat and like it for most things, but the dust collection is sure less than optimal. I will also try and see how the DW625 dust collection attachment works. Here's an older picture. Note that all the hoses are behind the Rat's mounting bracket (i.e. no interference). Also, the far end of the Rat (that is normally open) is slightly closed up (about 2/3 remains open) to produce more suction through the router opening (instead of the far end). As shown, all dust that would normally exit the top or back of the Rat is collected. All we need to work on now is the front & bottom of the Rat. I now have that other hose mounted to an angled plate that can be clamped onto the Rat's router plate. This will grab anything from the front and sides (assuming proper positioning). The loose hose no longer comes in from the left (all hoses come from the right side). A 3" or 2.5" hose could work for the front if you wanted a bit more room. If you wanted to get fancy I guess you could use the Festool vac for the front (use the big hose) and run the router power through the vac. My dust collector is a Clearvue cyclone and the two 4" router hoses are supplied by 6" duct (i.e. I'm solving the problem through brute force). The Dewalt 625 dust attachment fits the stock Festool vacuum hose perfectly and works fairly well in the Rat but isn't perfect due to the increased gap between the cut and the router base (vertically). Stand alone usage with the Dewalt + Festool vac is perfect. Greg-R, your setup looks great for cuts made on the Rat side of the bit. I have good DC with my CT33 when cutting Rat side. But, as somebody else mentioned, when cutting away from Rat, it takes a lot of ingenuity. Then, the chips fly in all directions, depending on which direction you are sliding the wood, against the cut, or away. when plowing out a dado length wise, the chips shoot out the end of the cut like a jet, or the pile up within the cut, again according to the direction. The only tool I need close to the area for pickup is with my SCMS. For that, i am anxiously awaiting a toy called KAPEX. I do not have circuitry that i can run my 4"DC thru same switch as the DW625 without blowing fuses. I can run my CT33 at same time tho. Oh, and when running my CT33 at same time as my router, or almost any other toy, i cannot hear the CT. When running my 4"DC (Pennstate), there is no silence anywhere in the house. For anyone who is married and has their shop in the cellar (very small house/very small cellar), you know that such noise can only get louder once machinery has shut down and one comes in contact with the ultimate noise maker. Ah, but i do love her. I also agree that there is very little, if any, airbourne fine dust. it is larger and stringy chips (as mentioned by others above)which are easy to cleanup from floor >>> with shovel. When i have referred to "dust", I have generally included all of the debris generated by router to wood. I like the cleanup from my Festool routing much better. All in all, Even with the dust (maybe i should say "particle" problems, I am not about to toss my Rat. All that said, i would like to see your setup for catching "particles" from the near side. i catch a good supply of them in my shirt and apron pockets.